Shane, Phil Winslade and Duncan sketching. The queue at Earls Court 2 on saturday morning. A Box Of Albions Arrived Today. 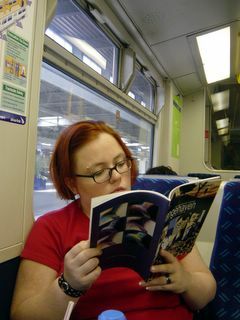 Leah catches up with Strangehaven on the train to Northampton.